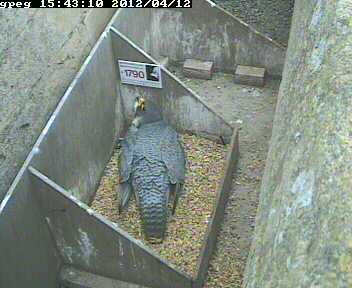 The female will spend most of her time incubating until the chicks hatch around May 6th. She will then brood them for a fortnight. During this six week period it is the male's job to catch the food and bring it to the nest. He will occasionally incubate, but not for long periods. Here the female is probably communicating with him as he perches out of picture above her.